1) Why did you consider a MultiMac? We have four children aging from two to ten years old. It was not possible anymore to take the whole family on short trips or go on holidays in our Opel Omega (which is a very spacious car). Four kids on the backseat with only three seat belts was also not the ideal solution although it is allowed for short trips within our village. The seats the children used took up a lot of space and our oldest daughter could not sit properly anymore. Before, we used to rent a car in summer for two weeks just to be able to actually travel with the whole family. We were actually thinking of buying a bigger car but that would mean that we would not have the space to bring all of our luggage or put one of these ski boxes on top of the roof. One day we saw a link to the MultiMac website. I thought 'this is it!' This is the perfect solution for us! 2) What convinced you to purchase a MultiMac? 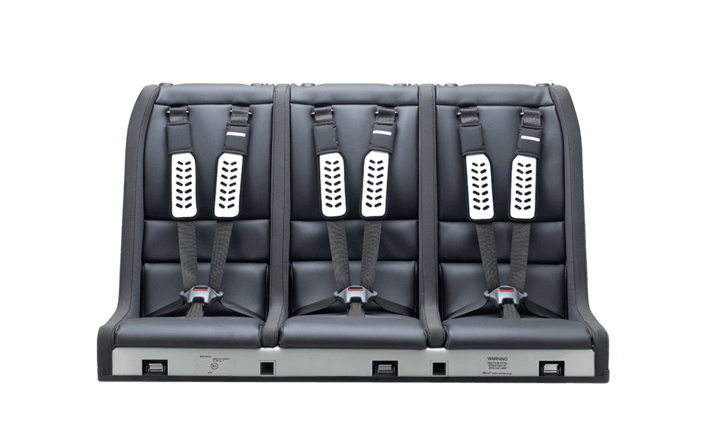 The fact that the MultiMac was approved for Europe and the design (it fits in every car), the ease of installing the seat and no need to remove the existing car seat and belts. The price! The MultiMac is really not that expensive, ok it is not cheap but renting a car for two weeks is also €1000,- plus gasoline etc. The website was very useful. It had all the information we needed. 3) Would you recommend a MultiMac to anyone else, and if so why? 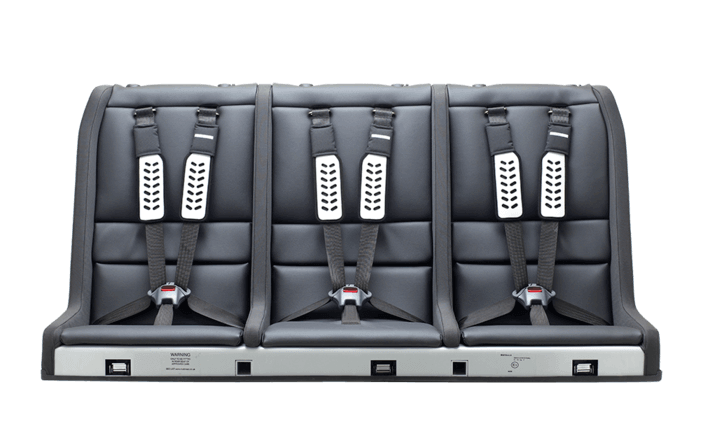 We would recommend the MultiMac to all families with three or four children! It fits in every car! No more hassle with car seats. No need to buy a bigger car! No need to rent anymore! 4) What are your 'likes' of the MultiMac? Has it made life easier? It really made our lives so much easier! We can now hop in the car and go everywhere we want without thinking, without leaving one of us at home or driving twice! 5) What do your children think of the MultiMac? Our children think it's so cool to use a car seat that no one else has in Holland! They like it that we can now go everywhere together and don't need to leave anyone at home! The only thing they don't like is the fact that they are really strapped to their seat and can not move around much anymore. If they drop something they can not pick it up anymore. Anyway we think it’s safer this way! It's a very nice seat that is also very safe because it is fixed onto the cars chassis. Kevin was so kind to come and bring the seat himself and help install it... thank you so much for that, we felt honoured. Our oldest daughter is a bit to big for the MultiMac and needs a lower seat cushion and an adult buckle to be able to use the existing seatbelt. Kevin is so kind to help us with that too! Great service! 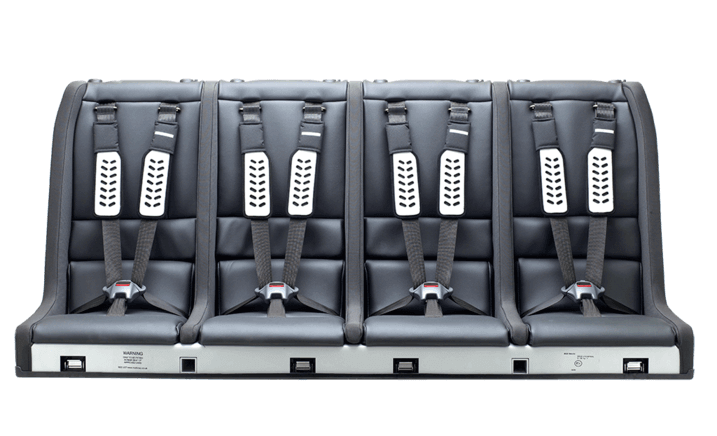 We hope many more people will buy this super seat!